Mobile virtual network operator (MVNO) (or mobile other licensed operator (MOLO) in the United Kingdom) may be a foreign name for most mobile phone users, but most users have unsuspectingly already used their services as their brand names are more popular. For those not knowing what MVNO is, it’s basically a wireless communications services provider that does not own the wireless network infrastructure over but rather enters into a business agreement with a mobile network operator to obtain bulk access to network services at wholesale rates, then sets retail prices independently. In simpler terms, MVNO companies will rent the infrastructure of telecommunication companies to offer consumers similar service at their own rates. 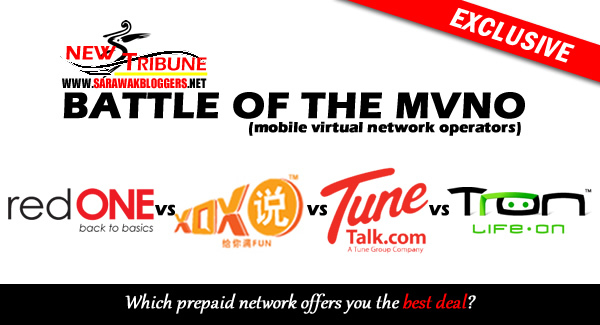 In Malaysia, MVNO is emerging, but here, in our battle of MVNO, we have decided to pit four of the most prominent ones, namely TuneTalk, RedTone, XOX Mobile and Tron as you can see below. As it can be seen, all MVNO has it’s own benefits, with a majority of the MVNO’s opting to share Celcom’s facilities, leveraging on the telco’s huge coverage in Malaysia. However, this also means that if Celcom was to have disruption over it’s facilities, all MVNO sharing its network would experience similar problems. With that said, it is still up to you to choose which is the best plan, so do not feel shy to share your experience or opinion on the MVNO services in our comment section below. Do note that the comparison was done to our best understanding and any error is much regretted. 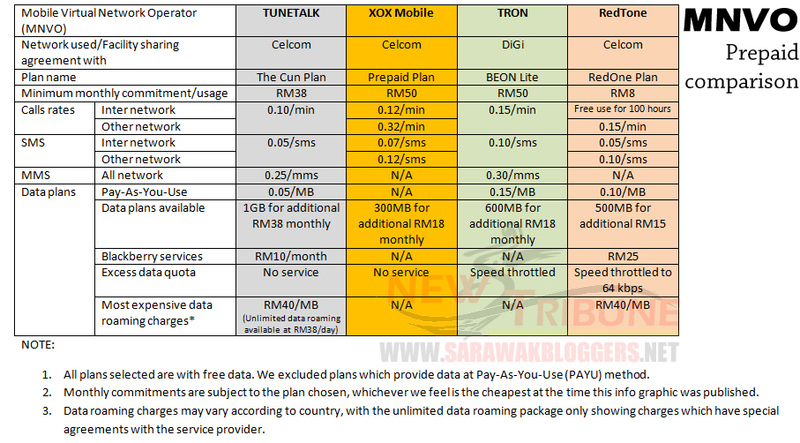 RedTone RedOne is postpaid not prepaid. 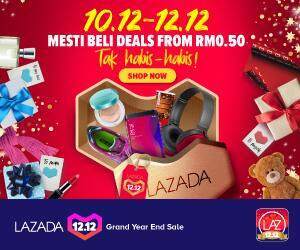 All others prepaid dont have minimum monthly usage. Not use pay nothing.